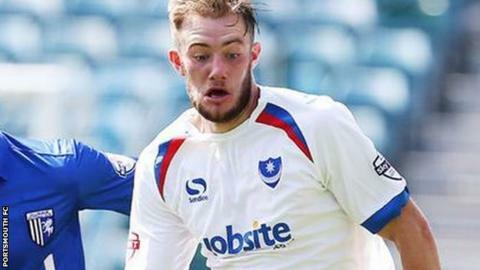 Portsmouth have agreed a loan deal until January for Ipswich Town defender Matt Clarke. The 18-year-old centre-back has featured three times on trial for the League Two club during pre-season. A graduate of Ipswich's academy, he has made five appearances for the Championship club. "I'm delighted to be here. I've already played a few games, so it's great to have all the paperwork signed," he told Pompey's website.